January has been one of my most successful training months in that I consistently trained! I’m loving “Ironman Zone” and the focus I have on my goals right now. Fingers crossed that it will carry through for many months to come. As I’ve been accumulating miles and training hours, I’ve had a number of favorites that have helped me along the way. I figured I’d start a monthly(ish) post about favorite products, workouts, meals, etc. Favorite Product- SBR Tri Swim Shampoo and Conditioner Let’s be honest, swimming wreaks havoc on your hair and skin, especially in the winter. SBR makes SUCH great products that you’d never know how much time I’ve spent in the pool. Prior to discovering their shampoo and conditioner, I used UltraSwim and this is no comparison! I’m really looking forward to trying their Dermasport skin products next! Favorite Nutrition- I’ve been using lots of Hammer Fizz this month. I love how convenient and portable these are. I tend to not get any nutrition ready until the last minute when I should probably be out the door already and these are perfect. 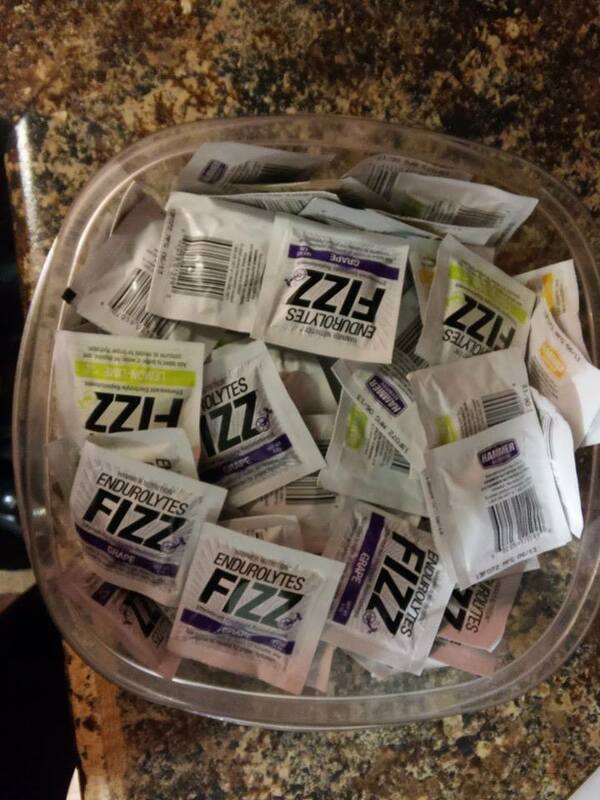 I have been using Heed for a year now and find that Fizz is comparable in how it gets me through a workout, these are just more convenient sometimes! My big draw to both Heed and Fizz is that no artificial sweeteners or refined sugars are used. As someone who really prefers the taste of water to almost anything, most sports drinks make me want to gag. I hate the really sweet taste of a lot of the biggest names out there. 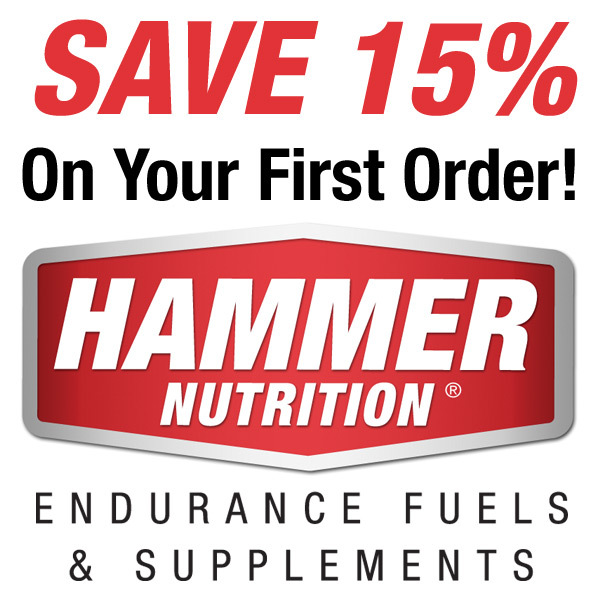 Hammer products have a much lighter taste that is easier on your stomach, especially over long periods of time. Favorite Workout- This was a swim workout I did early in the month. I loved how often it changed so that I didn’t have to struggle through any one thing for too long, but still felt like I got a great workout in. Warmup: 200 swim, 200 pull, 200 kick 4×150 swim 4×150 pull 6×50 sprint 4×100 Cooldown 100 (50 kick, 50 swim) Love to hate workout- Any sufferfest video. These are tough. This photo is my before and after of a video called Fight Club. We all know the first rule of Fight Club….. Favorite Gear- This was easy, my new Garmin 920XT. I actually got it in December, but since January held a lot more training in the pool and bike, in addition to running, this is where I really began to fall in love. For anyone that has looked at these, yes, they are insanely expensive. I’m counting on this watch lasting me many years. And for a piece of equipment I literally use everyday, the cost per use is not that high. (I’m good at justifying anything). For a real in-depth review on the watch, check out DC Rainmaker, my go to source for all techy reviews. Here’s what I love broken down by sport: Run- It tracks my cadence, vertical oscillation (how much I bounce), and VO2 Max, along with the standard of pace, heart rate, distance, etc. Bike- Honestly, my bike computer already tracked most of this, but using my Garmin allows me to upload versus manually entering info like I have to from the bike computer. Swim- Here’s where I get blown away. I’ve never tracked anything in the pool before. I would swim a given distance but have no idea how long it took me. The watch keeps track of my number of laps, time for each lap, number of strokes per lap, it can tell what stroke I’m swimming and more. Added bonus, on long intervals I don’t have to keep count as much because the watch does the work for me. Activity Monitor- I haven’t explored this too much, but I know it tracks my steps per day and adjusts my daily steps goal based on how much walking I’ve done lately and my sleep patterns. I’m sure there’s more in this area, but this is more than enough for me. Data- It automatically uploads to Garmin Connect so that I can be a true numbers geek and analyze. Here’s an example of the graphs from a swim workout this month. Favorite Recovery Tool– Compression anything! 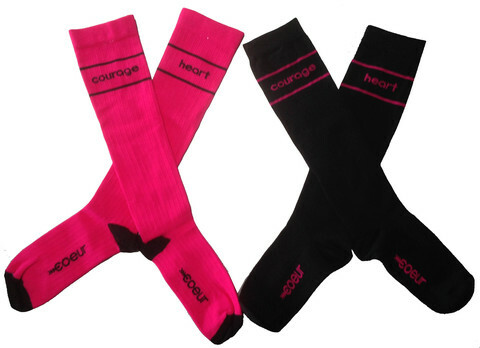 My wonderful husband got me lots of cool Coeur Sports gear for Christmas, including these compression socks and compression pants. I love to throw compression gear on after a tough workout. The extra support feels wonderful! Favorite Meal- This was really hard to choose because I had lots of good meals this month. Full disclosure, I am not the cook in our house. Again, my wonderful husband comes through with supporting this triathlon goal and makes meals that definitely help the cause. He makes lots of healthy, fresh meals throughout the month. My favorite was grilled salmon, long grain wild rice, and grilled asparagus and yellow peppers. I should have thought to take a picture, I was too busy eating though! Favorite Fail of the month- Increased training means increased appetite, aka I’m hungry all the time. There is a new McDonald’s conveniently located right on my way home from work. After a particularly stressful day at school, the billboard sign reading “Triple Cheeseburger $2.00” was just calling my name…….I don’t regret it one bit! 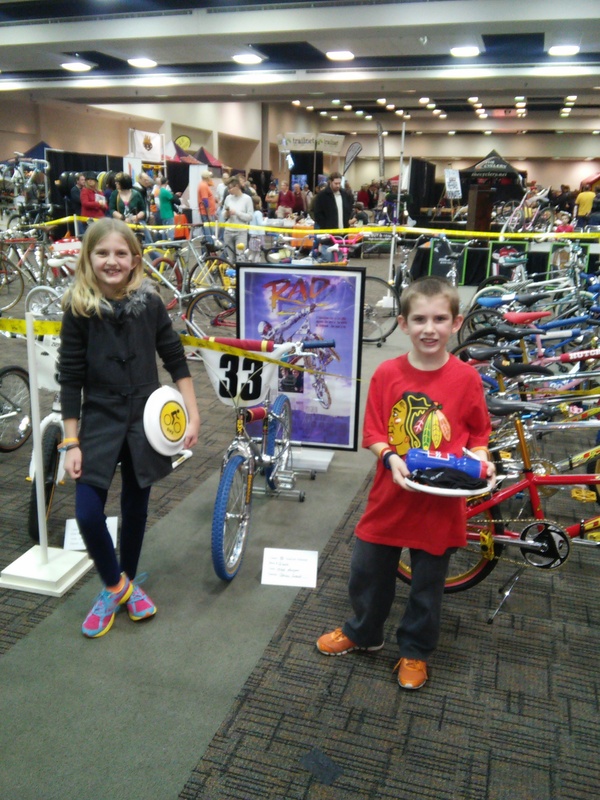 Favorite Activity- There was a local Bike Expo over the weekend that I took the kids to. Lots of cool vendors, workshops, giveaways, etc. 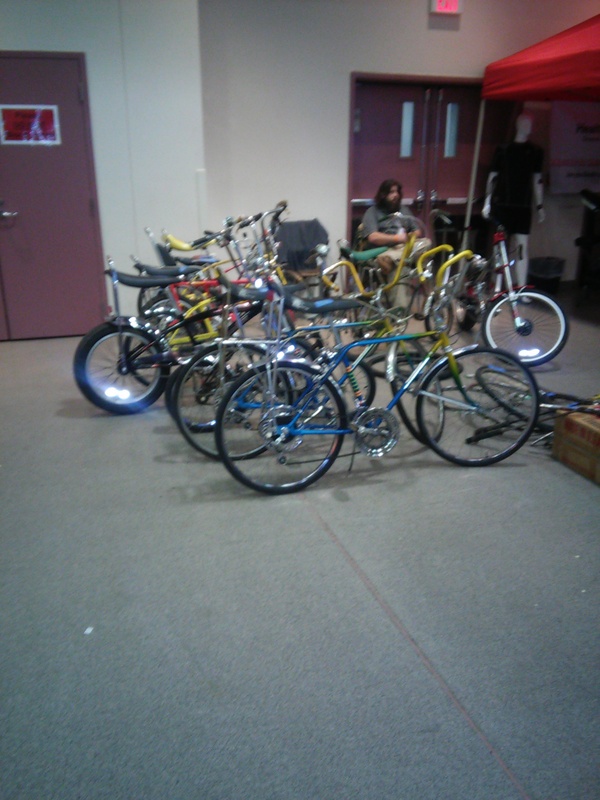 I got to see my favorite bike store, The Bike Factory, sign up for a local bike ride and learn a lot. I didn’t think to take pictures of most of it, more the parts the kids were most excited about. Trust me though, there was plenty to drool and swoon over from a triathlete or cyclist perspective. The best part though, was how much my kids loved it. 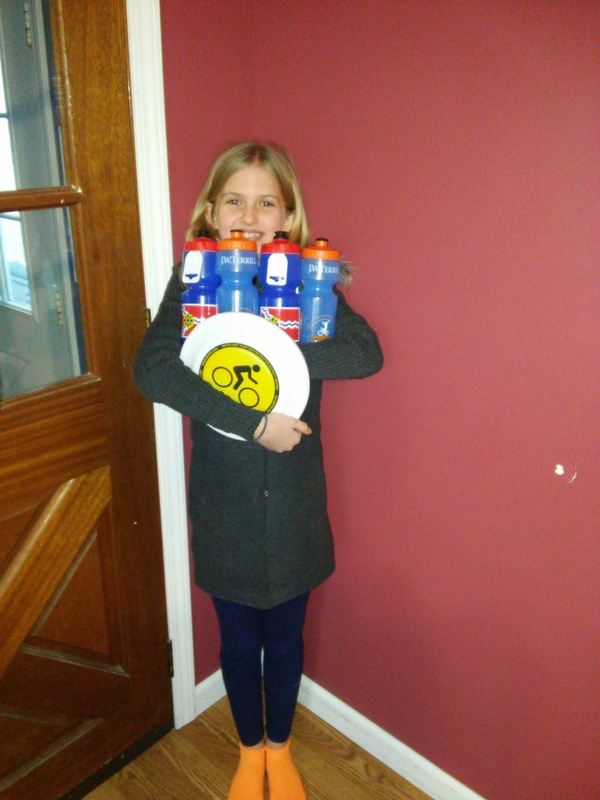 Not much makes a triathlete parent happier than when their kids show interest in the sport as well. We even found the Rad bike from the 80’s movie. I too LOVE SBR shampoo, conditioner and body wash…so AMAZING!! I also LOVE my #CoeurSports compression gear…I am actually wearing my compression socks right now under my leggings and boots at work 😉 It feels so good to put on after a tough workout!! Thanks for sharing your favorites!! 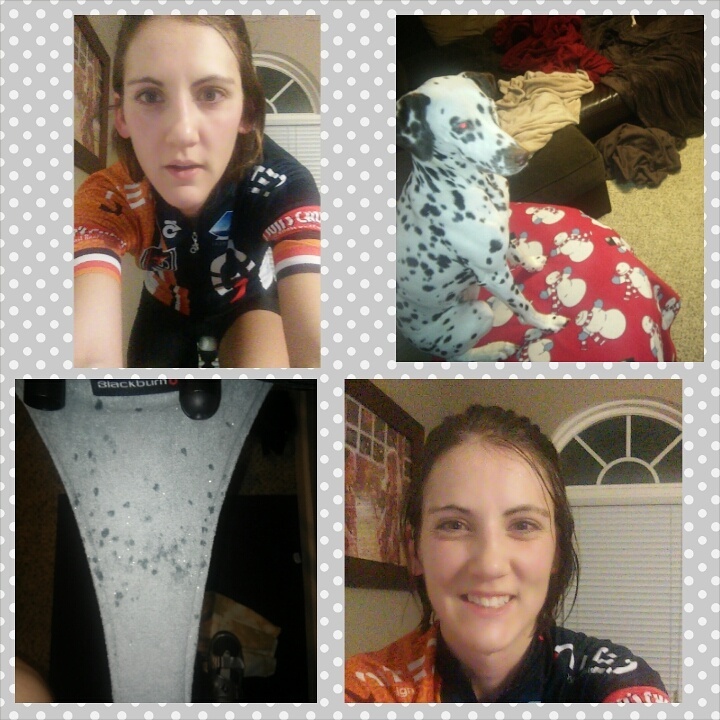 Oh my gosh I love that you are doing sufferfest videos! So good! Thanks! They are definitely tough, but make the time on the trainer go by for sure!